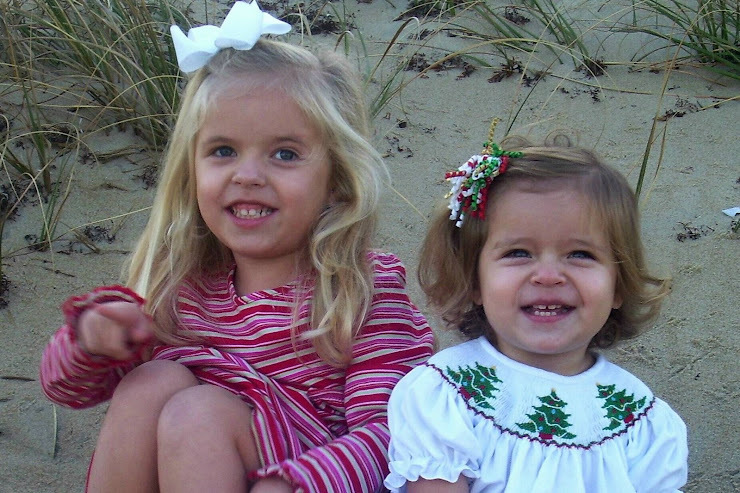 So, this Christmas we decided not to travel, but to stay at home here in the OBX to begin our own family traditions. We tried our best to take the focus off of gifts and put the focus back on Jesus and giving to others. We made homemade Christmas presents for family and friends and as we gave each one, Elizabeth learned more about generosity. 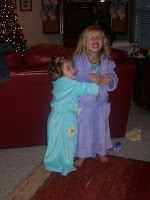 That's not to say that my girls didn't receive gifts, because they did and really enjoyed them! We sang Happy Birthday to baby Jesus on Christmas morning, made coffee and breakfast and lounged in our pj's most of the day. The Brooks family, some of our dearest friends here invited us over for Christmas dinner which was WONDERFUL. The food is always good at the Brooks house! Elizabeth got a guitar; the only thing that she actually asked for. Mr. Ron had a music session with her after dinner. The whole Christmas season was wonderful! I had a cookie decorating party with some girlfriends, we attended the young adult Christmas party for church and dressed in our tackiest Christmas wear! This was TOO much fun! Among all of the celebration of Christmas, in Elizabeth's dance class we had parent observation day. The ballerinas were very cute. I am including pictures of that, but they didn't come out very well. To end all of the celebration, my mom and my step-dad came for a short visit the week of Christmas and spent quality time with the us and the girls. We had a great time and are so thankful for all of the beautiful people that God has out into our lives! That's all for now. We have no preschool, no appointments or playdates today, so the girls and I are chillin' for real, so nice to have time to blog. C-ya.